OPPO A71 (2018) with Snapdragon 450 to launch in PH soon! Home / mobile / news / oppo / OPPO A71 (2018) with Snapdragon 450 to launch in PH soon! Last February, OPPO launched the A71 (2018) in India. Today, OPPO confirmed that this Snapdragon 450 powered handset is coming to the Philippines on March 10! 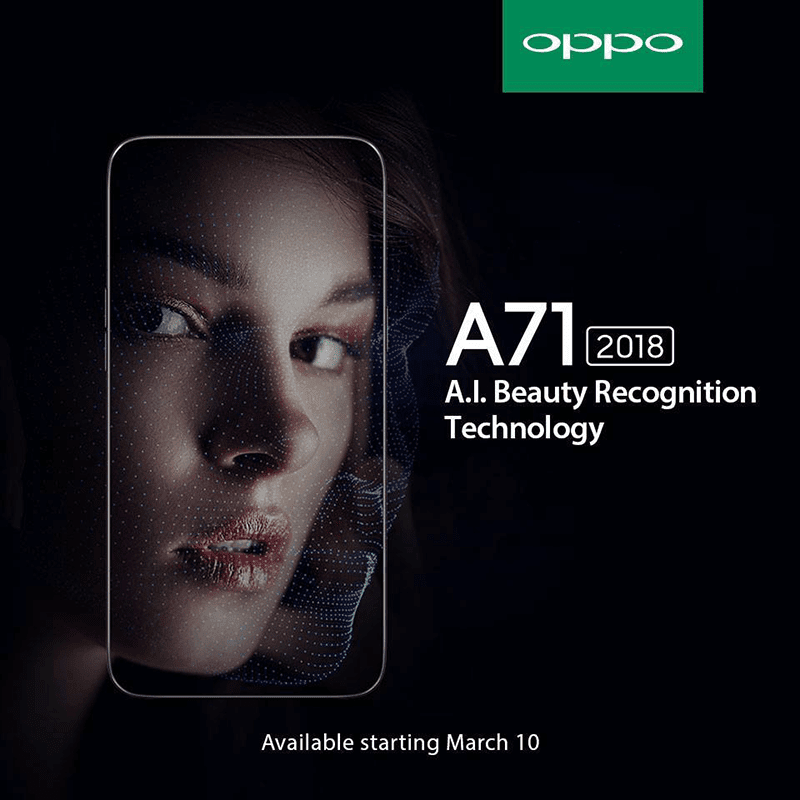 According to OPPO's poster, the A71 (2018) will also feature the A.I. Beauty Recognition Technology in its 5MP f/2.4 selfie shooter. Aside from the SD450 chip and Adreno 506 graphics, the handset has 2GB RAM, 16GB storage, 3,000mAh battery, 13MP main camera, LTE, and Android 7.1 Nougat OS w/ Color OS 3.2 skin. Note: In India, the A83 (2018) has 3GB RAM. Related: OPPO A71 (2018) now available, priced at just PHP 7,990!